The Road to Winterhill is a historical romance by Gloria Gay. Belinda Presley has always had secret feelings for Richard Branston, the Earl of Berrington, but being the type of woman men never notice made it impossible to get his attention, or any other man for that matter. Then her mother goes and does something dreadful and now a man who has never even given her the time of day is forced to marry her. 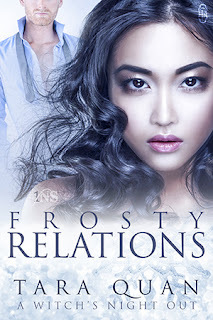 She may have the man she always wanted but will she ever be able to earn his love? This was an enjoyable read, the ending was a little off for me but the rest was good. I definitely felt for Belinda and was hoping it would turn in her favor. Belinda, who had been unable to close her eyes, had during the last few minutes, started to doze off. She froze as the door opened and Lord Berrington walked into the bedroom. Her hands, lying by her sides, shook. The room shrank in size with his presence, a presence that overwhelmed Belinda with its maleness and authority. In the dim candlelight she followed his progress as he tossed his coat over a chair and placing a bottle of wine and two wineglasses he had brought with him on a small table, proceeded to fill both glasses with wine. Then he walked over to the bed where Belinda lay, her body as straight and tense as a board, and sat on a chair by the bed. He handed her one of the wineglasses. His eyes raked over her as she began to tremble from head to toe. "Drink this," Berrington ordered. "It will ease the tension in you. I don’t know what you’ve been told about this night, but it’s obvious you were terrorized by their words. Forget what you’ve been told. This business is very much like learning to swim. The best thing to do is to plunge right into it. It won’t be as bad as you imagine, I assure you. “Drink all your wine, now." Belinda straightened up in the bed to a sitting position and with a shaking hand took the large heavy goblet. Then with trembling lips sipped it once and stopped, but without looking at him. "All of it," he ordered. "If ever anyone needed a glass of wine to relax a little, it is you." 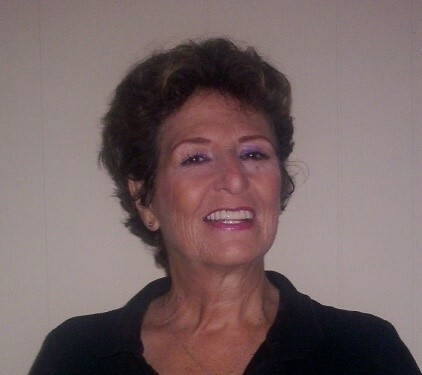 Gloria published a new edition of First Season under the title, LOVE IN A DANGEROUS SEASON, as well as ENCHANTED SUMMER, a Regency romance and A BRIDGE THROUGH TIME, a time travel romance. Gloria and her husband Enrique, an architect, have three grown children and six grand-children and they are lucky to have them all living near them in San Diego, California. 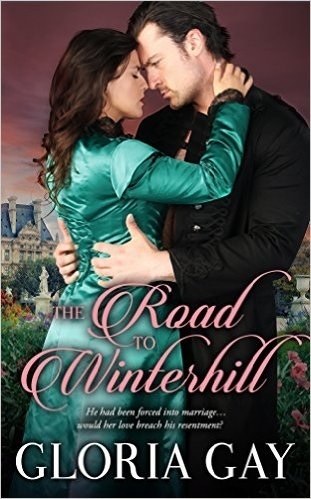 Thank you so much for hosting my Regency romance, The Road To Winterhill, at your site, and for your wonderful review.